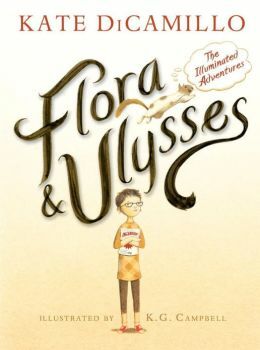 This entry was posted in authors, book review, books, children's books, children's literature, humor, poetry and tagged Children, children's book, Children's literature, Flora and Ulysses, Kate DiCamillo, Newbery Medal winner, read aloud, squirrels. Bookmark the permalink. Reblogged this on No Charge Bookbunch. Love Kate DiCamillo. I think my 13-year-old son likely would balk at reading this one with me though…. More for a younger audience? Or those of us who never grew up?